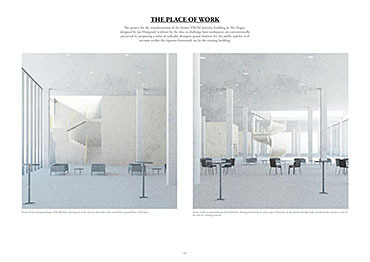 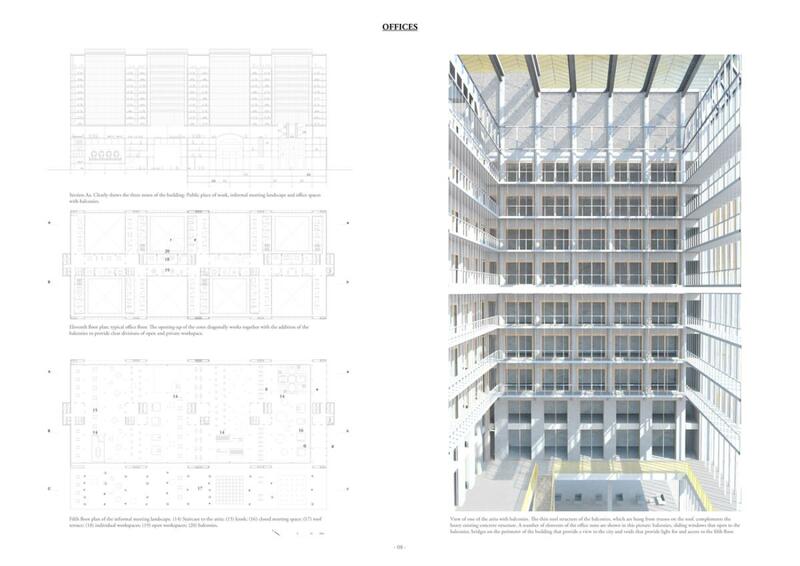 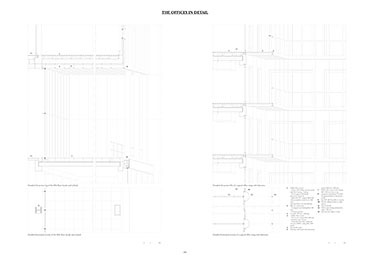 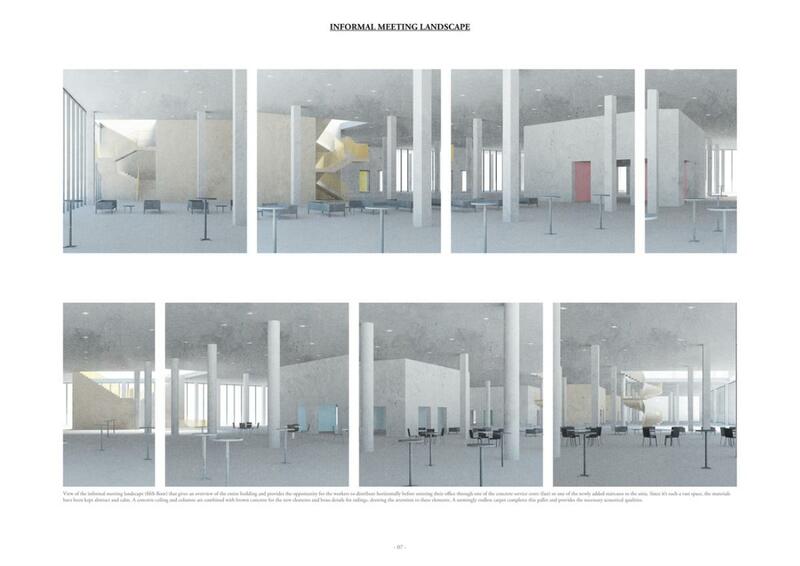 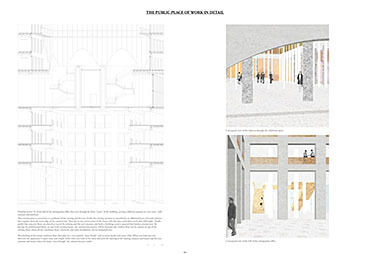 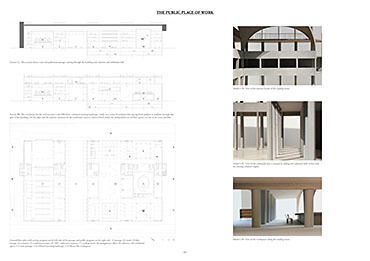 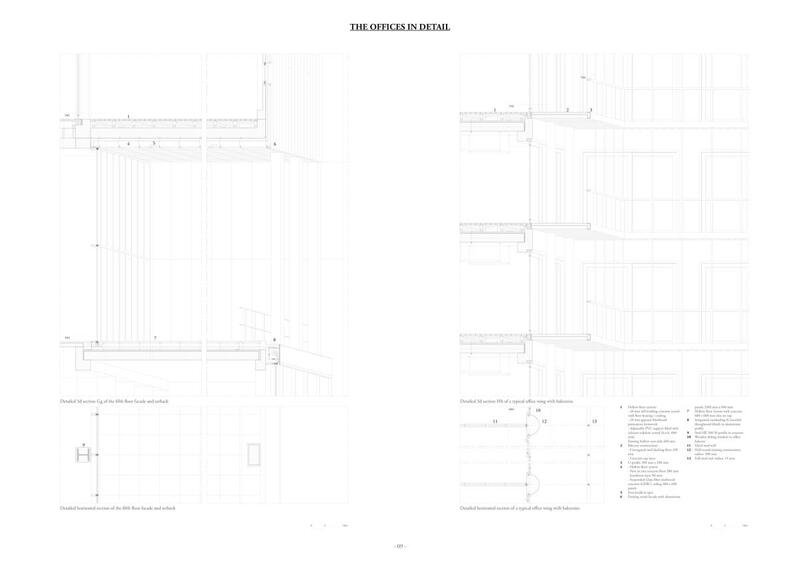 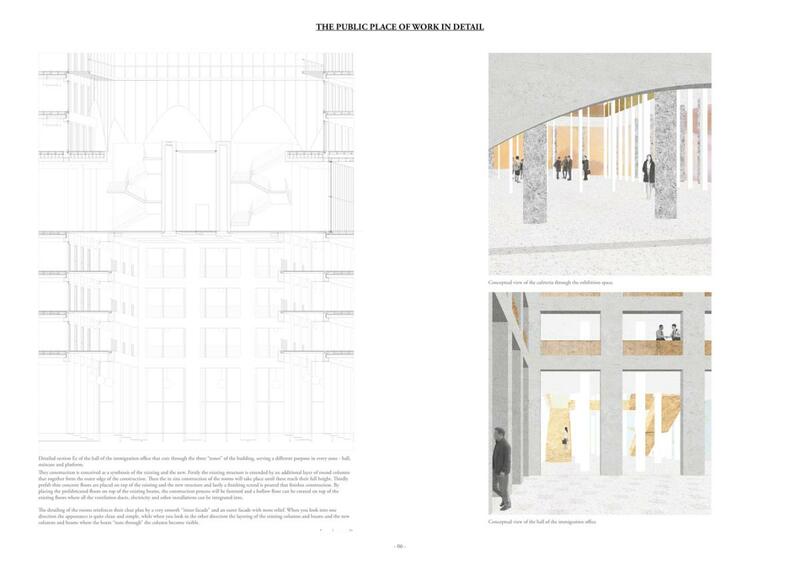 The project for the transformation of the former VROM ministry building in The Hague, designed by Jan Hoogstad, is driven by the idea to challenge how workspaces are conventionally perceived by proposing a series of radically divergent grand interiors for the public and for civil servants within the rigorous framework set by the existing building. 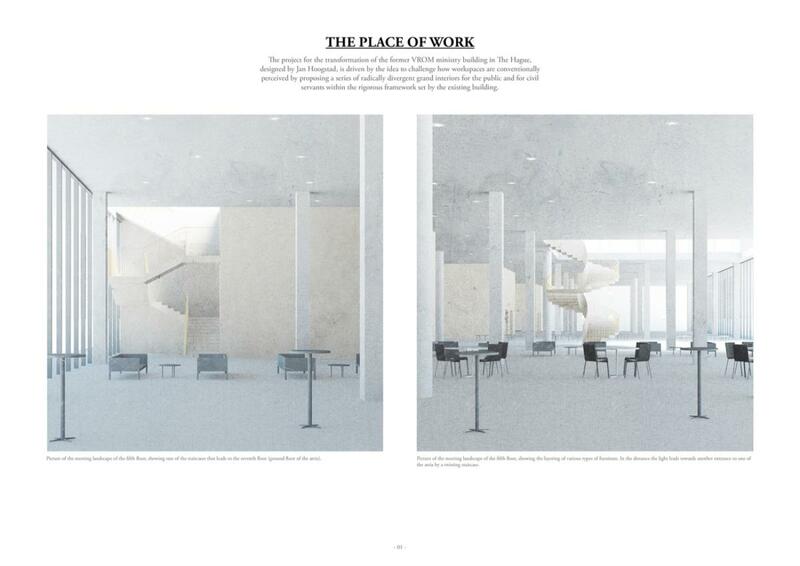 It provides an answer to the recent cost efficient measures by the Dutch Government to create more flexible shared workspaces by creating an open ground for everybody – a public place of work - that represents the transparency of its institution and gives civil servants the feeling of being part of the public service. 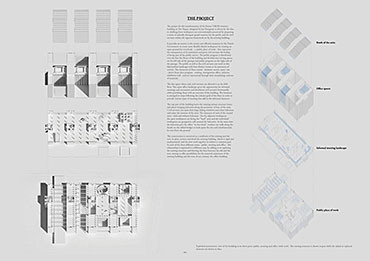 Each of these different interiors reflects the character of their programme through its morphology and use of materials. 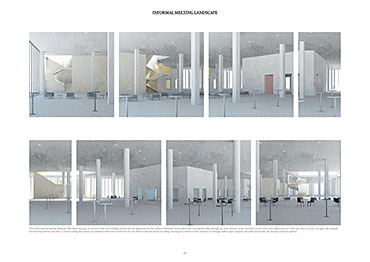 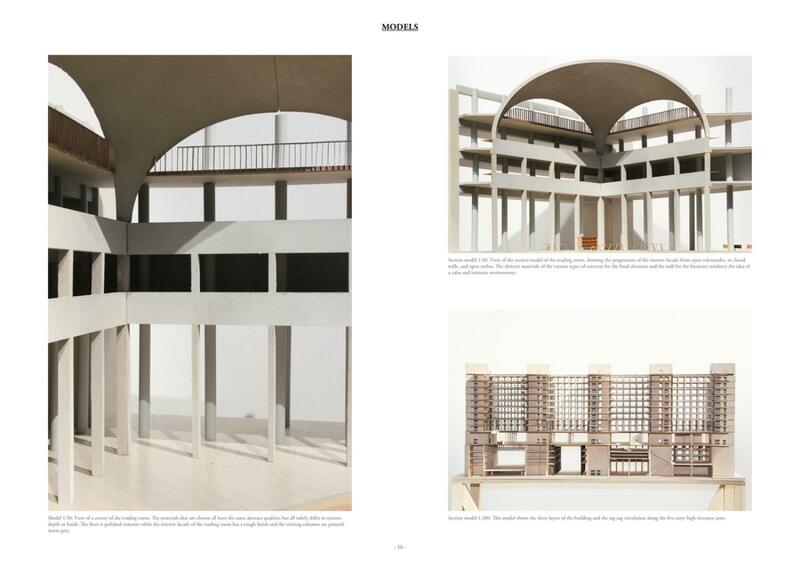 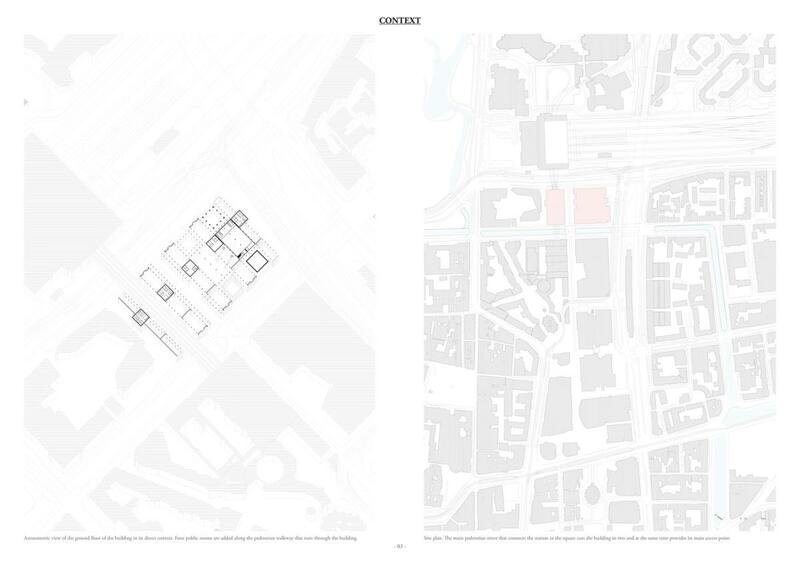 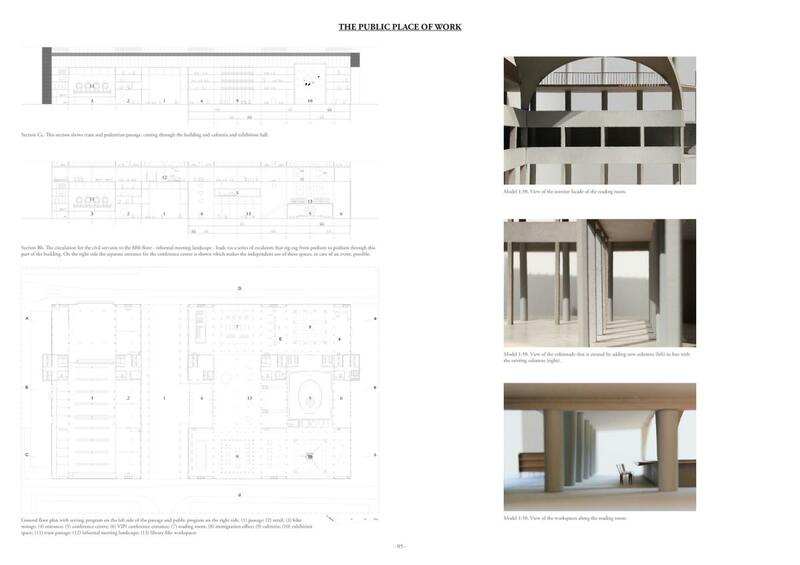 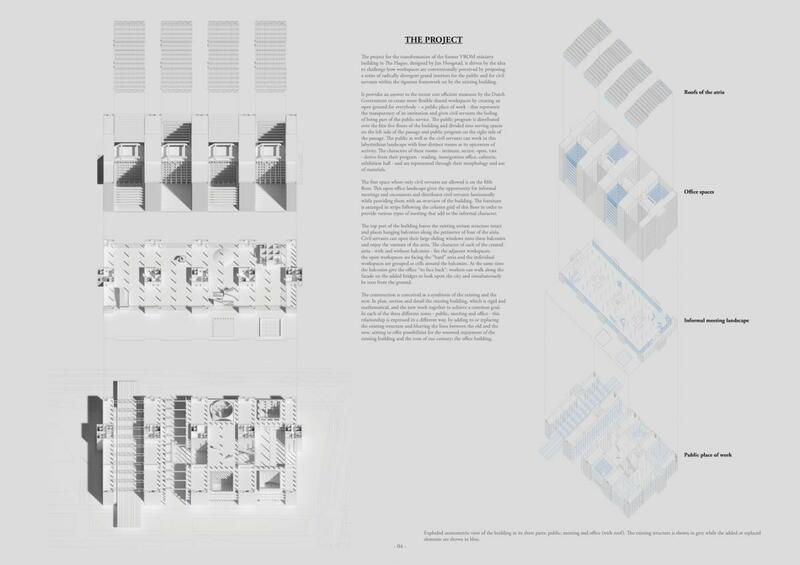 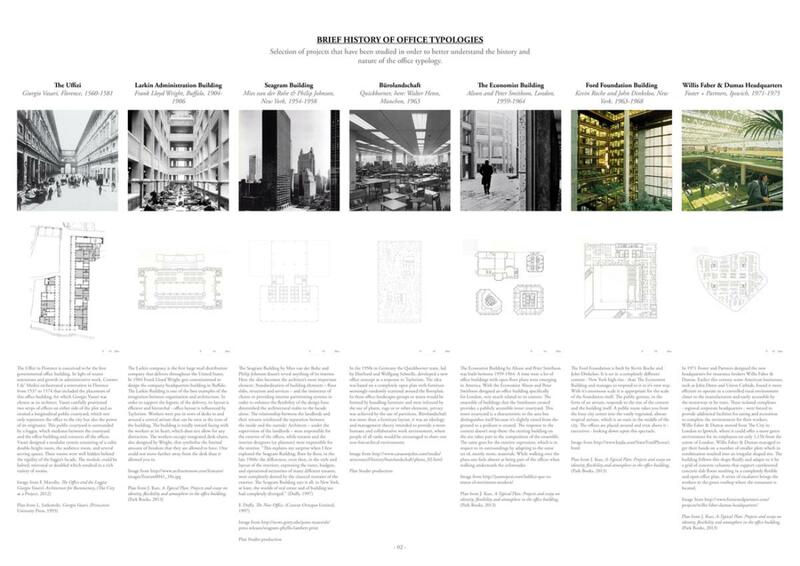 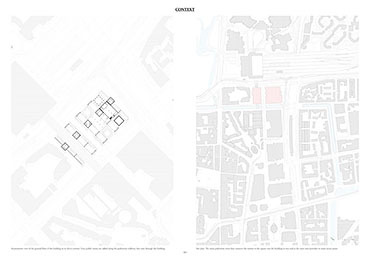 The result is a succession of interiors ranging from dense labyrinthian library workspaces, to grand public halls linked to the surrounding urban fabric, informal meeting landscapes, intimate office rooms and distinct office courtyards. These characteristic interiors have been achieved by carefully combining new elements with the existing building and provide a range of possibilities for the renewed enjoyment of the existing building and the icon of our century; the office building.